Ramen noodles come in many varieties and is an essential ingredient in creating a perfect bowl of ramen. Originating from China, ramen noodles are made with salt, water, wheat and kansui. Kansui is a mineral-rich salt water that gives the ramen noodles their yellow coloring and light bouncy texture. After years of experimenting with different style of ramen noodles, we adopted the Tokyo style straight noodle as our signature noodle. Slurp ramen and sip sake! 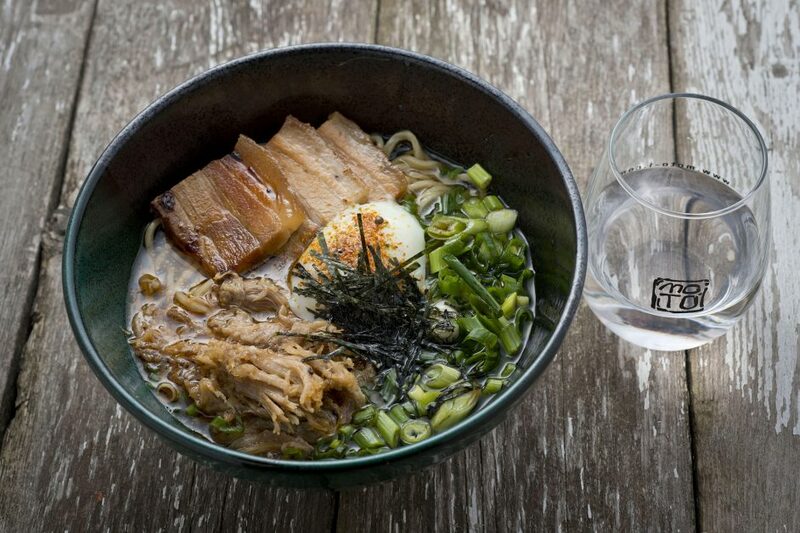 We’ll be running specials all day for ramen and sake lovers, like ourselves! Ramen specials include a Roasted Duck Ramen and a Bison and Wild Rice Noodle Ramen. 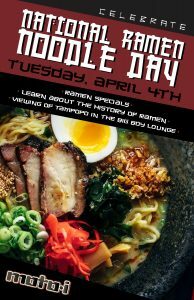 We’ll be offering sake pairings and $6 sake cocktails in celebration as well. 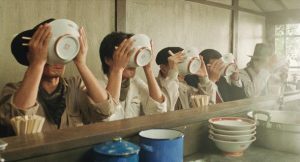 For those who want to fill their bellies with even more ramen, we’ll be featuring Tampopo at 7pm at the first floor main bar.